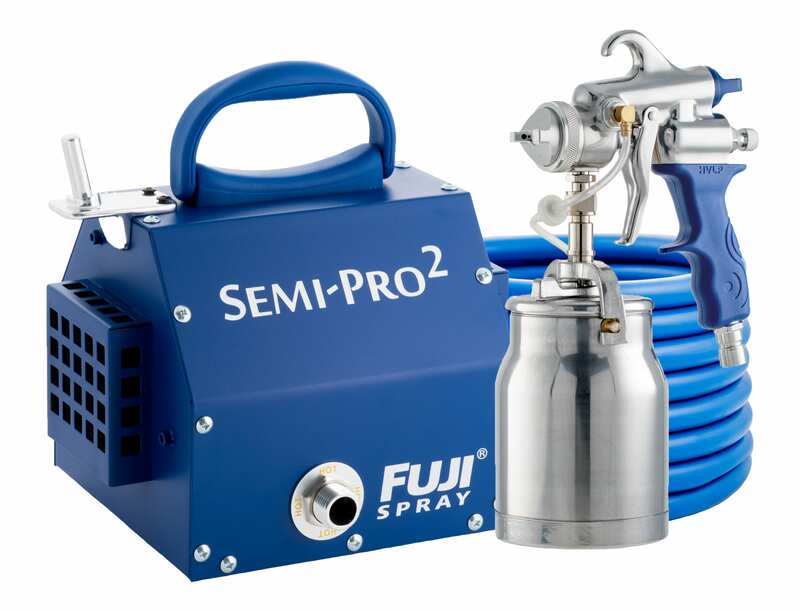 To meet the growing demand of the DIY market, Fuji Spray® has introduced the DIY-PRO™ Series, which has the most powerful 2-stage systems on the market: The Fuji Spray® Hobby-PRO 2™ and the Fuji Spray® Semi-PRO 2™. Whether you’re a weekend warrior or a professional hobbyist, the DIY-PRO™ Series offers you the perfect combination of versatility and performance to get the job done. 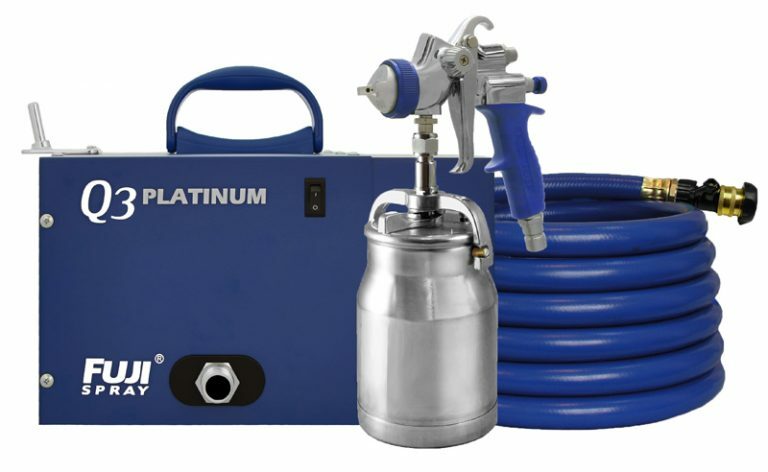 Considered the ‘go-to’ system for both workshops and home use, the DIY-PRO™ Series is ideal for spraying walls, ceilings, doors, fences, shutters, cabinets, and so much more! The DIY-PRO™ Series will allow you to obtain an outstanding finish, making you look like a professional. Most HVLP systems typically feature low wattage motors that are underpowered for most spraying. Our 1400 watt 2-stage bypass motor in a metal turbine casing can handle almost any type of coating. 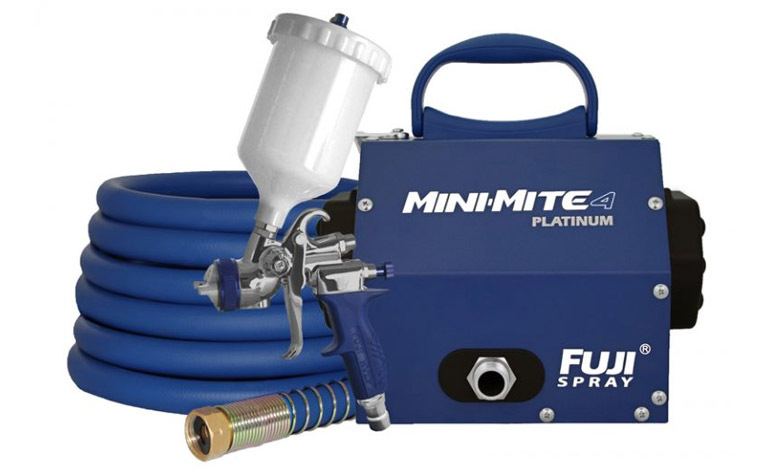 What’s included with every Fuji Spray® Semi-PRO 2™ HVLP System? 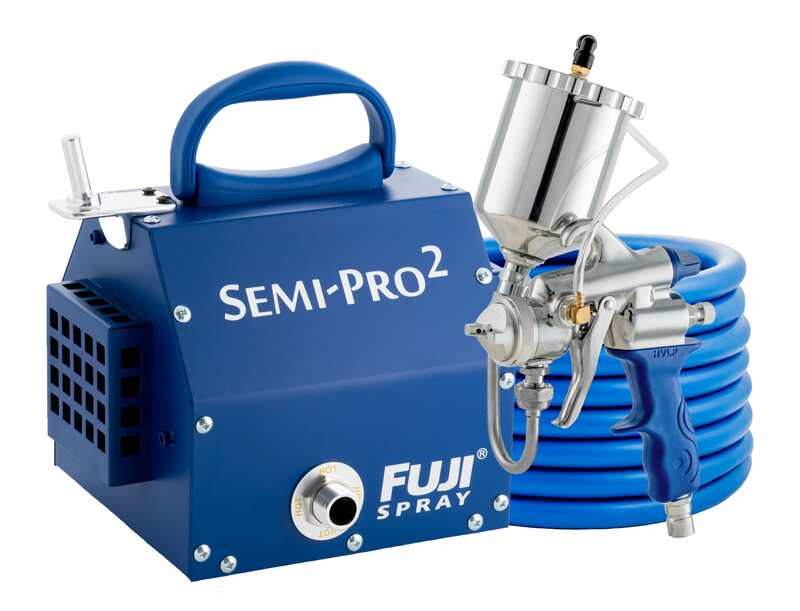 What’s included with every Fuji Spray® Semi-PRO 2™ HVLP Gravity System? 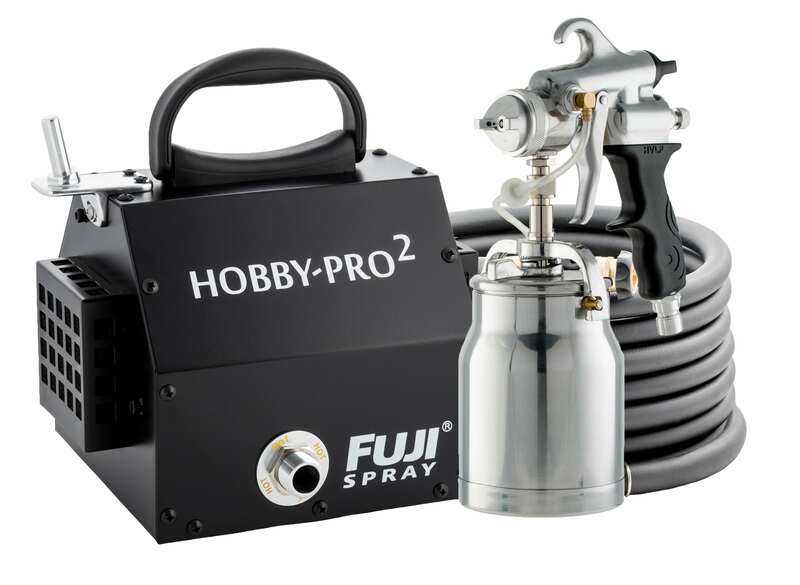 What’s included with every Fuji Spray® Hobby-PRO 2™ HVLP System? 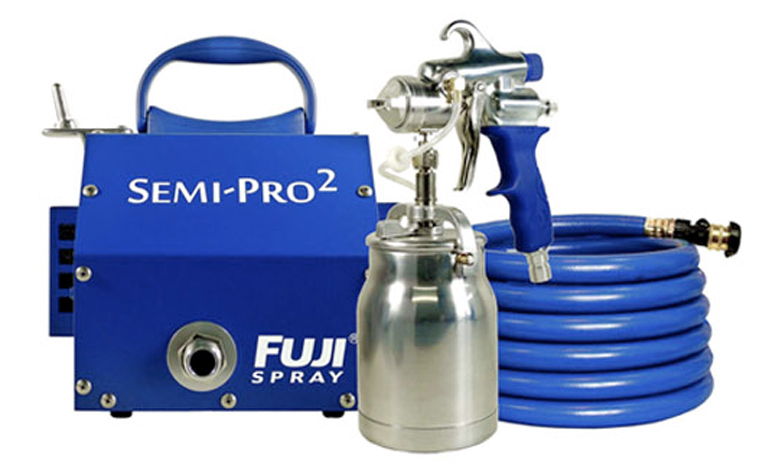 Have you recently purchased a Fuji Spray® Semi-PRO™ or Hobby-PRO™ HVLP Spray System? You’ve now got what’s considered the ‘go-to’ system for workshop or home use, and you’re ready to obtain an outstanding finish.